Max is my best friend. He loves me unconditionally and is the smartest dog I know. 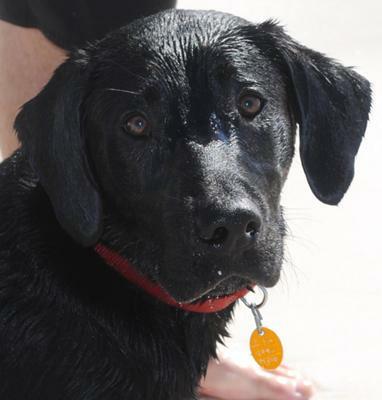 He loves to play at the Bark Park and swim in the Gulf of Mexico. He loves his toys and is quite capable of destroying indestructable toys. He loves to rip the squeakers out. He is a good boy! He can also untie my tennis shoes like a ninja! Join in and write your own page! It's easy to do. How? Simply click here to return to Labrador Retriever Pictures And Stories.